Claudio Monteverdi’s Eighth and last book of Madrigals includes his most revolutionary and stirring music. In these works, Love and War become indivisible metaphors that Monteverdi evokes with the most exciting musical devices of the period. Book 8 represents the pinnacle of 17th-century musical expression and still has the power to move listeners today. Generously sponsored by Early Music Vancouver’s Board of Directors. In Claudio Monteverdi’s extraordinarily long composing career he led the way for the entire musical world from the Renaissance to the Baroque, from the a cappella madrigal to the fully realized “madrigali concertanti” replete with continuo accompaniment and obbligato strings, and from the early court opera to the world’s first public operas in Venice. He published his eighth book of “madrigals” (Madrigali guerrieri, et amorosi…libro ottavo, Venice, 1638) when he was seventy-one years old, nineteen years after the seventh book of madrigals was printed. Book Eight holds a place of highest significance both for its contents and for its extensive preface. This preface serves as a kind of manifesto not only of his personal philosophy of composition, but for the aesthetic goals of modern music in his time. I have reflected that the principal passions or affections of our mind are three, namely, anger, moderation and humility or supplication; so the best philosophers declare, and the very nature of our voice indicates this in having high, low and middle registers. The art of music also points clearly to these three in its terms “agitated,” “soft,” and “moderate” (concitato, molle, and temperato). 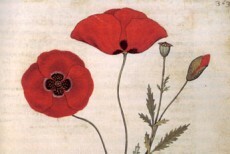 In all the works of earlier composers I have indeed found examples of the “soft” and the “moderate” but not of the “agitated,” a genus described by Plato in these words: “Take that harmony that would fittingly imitate the utterances of a brave man who is engaged in warfare”. And since I was aware that it is contrasts which greatly move our minds, and that this is the purpose which all good music should have—for this reason I have applied myself with no small diligence and toil to rediscover this genus. My development of this warlike genus has given me occasion to write certain madrigals that I have called guerrieri. And since the music played before great princes at their courts to please their delicate taste is of three kinds according to the method of performance, I have indicated these in my present work with the titles guerriera, amorosa, and rappresentativo. With this deeply expressive setting of Petrarch’s sonnet, Monteverdi simultaneously declares his aesthetic allegiance to the venerated fourteenth-century poet and also to the newest musical credo of limpid declamation. The piece begins with a hushed, almost motionless, depiction of the stillness of night… then erupts with the full force of Monteverdi’s new invention of musical warfare to depict the inner life of the harried lover. One of Monteverdi’s most perennially popular pieces, this charming duet for a pair of sopranos, set against a pair of violins, dances along above a jaunty walking bass until the two moments depicting the lovers death (in this genre, likely to be the “little death” of sexual climax), which are given an expansive and sensuous treatment. è guerrier the use of Monteverdi’s concitato (warlike) style, it is here put to use in a jocular context that harkens back to the sixteenth-century Neapolitan canzone villanesca, which was a musical emanation of the large phenomenon of street theater known as commedia dell’arte. This lovely setting of a text from the Song of Songs belongs to the same lineage as Nigra sum and Pulchra es from Monteverdi’s 1610 Vespers. Dario Castello, whose biography is almost a perfect blank, was known to have worked at San Marco during Monteverdi’s regime as maestro di cappella there. His plastic and expressive music is the closest instrumental idiom we have to Monteverdi’s exclusively vocal output. This piece is unique in its form, not only within Monteverdi’s works, but altogether. There are many pieces for solo voice with continuo which partake of the formal device here of strophic variation, where each succeeding strophe uses a given harmonic ground on which to build various melodic structures, but these are usually divided by a recurring “ritornello,” either for the continuo alone or with violins. The departure here is to vary the interludes for solo violin as much as the vocal strophes themselves—in a sense, the violin takes on its own narrative. It seems that Monteverdi’s thought was to have the violin assume the emotional state at the end of each strophe, and lead the way to the emotional state at the beginning of the next. Like Chiome d’oro, Augellin begins with the foundation of an energetic walking bass line to support the delightful figurations for the two tenors and bass that together paint a picture of the delicate bird; then, to express the first-person message of the tortured lover, the music changes abruptly to an adagio outpouring of emotion. Amongst the various “staged” and “unstaged” compositions of book eight, the Lamento della Ninfa occupies a unique position. Although Monteverdi places it explicitly in the category of “genera rappresentativa,” its poetic origin is a modest canzonetta by Rinuccini, which had previously been set by other composers as a simple strophic song. Monteverdi, however, saw the potential to create a voice of the narrator for three men’s voices, and to organize the scena as a scene-setting prologue for the narrator, followed by the nymph’s hyper-expressive (one could easily say operatic) lament of lost love and abandonment, and ending with a summation from the trio. Just as in Monteverdi’s duets for two sopranos or two tenors, Castello’s sonatas featuring two violins use the gamut of techniques from playful counterpoint to homophonic rhetoric to solo flights of fancy. Here, as in Monteverdi’s trios for two tenors and bass which feature so prominently in this program, there is the addition of a third independent part for the bowed bass instrument. The title “Every Lover is a Warrior” expresses succinctly the atmosphere not only of this piece, but of the whole collection. Beginning with a tenor duet like those that had dominated the seventh book in 1619, the centerpiece of this work is an extended monologue for bass. It is during this section that Monteverdi pays explicit homage to the dedicatee of book eight—the new Holy Roman Emperor, Ferdinand III. Born in Naples, Falconieri received his musical training in Parma and worked at the courts of Mantua (where he may have known Monteverdi) and Florence. After travels in Spain and France he ended up in Genoa, until he was censured for “distracting the nuns with music.” He eventually returned to his hometown, where he became maestro di cappella. His L’eroica, from his one published volume of instrumental music, includes a wonderfully wayward ciaccona as its middle section. This large-scale piece, designed by Monteverdi to introduce his Canti Amorosi, will serve for us as the farewell to this rich repertoire of striking contrasts, sensuous beauties, and stirring emotions. Next to the final operas, L’incoronazione di Poppea and Il ritorno d’Ulisse in patria, this is Monteverdi’s final musical will and testament. Soprano Catherine Webster is engaged regularly by many leading early music and chamber ensembles in North America. She has appeared as a soloist with Tafelmusik, Tragicomedia, Theatre of Voices, Netherlands Bach Society, Apollo’s Fire, American Baroque Orchestra, Magnificat, Musica Angelica, El Mundo, Four Nations Ensemble, Studio de Musique Ancienne de Montreal, Ensemble Masques, Les Voix Baroques, Early Music Vancouver, and at the Vancouver, Berkeley, Montreal and Boston Early Music Festivals. Active also in contemporary music, Webster has appeared with The Kronos Quartet in Terry Riley’s Sun Rings and with Theatre of Voices and the Los Angeles Philharmonic in John Adam’s Grand Pianola Music. Catherine Webster is a frequent collaborator with baroque opera directors Stephen Stubbs and Paul O’Dette, appearing under their direction in Early Music Vancouver’s production for the 2013 edition of Festival Vancouver in Monteverdi’s L’Incoronazione di Poppea and the premiere of Mattheson’s Boris Goudenov for the Boston Early Music Festival. She has recorded for Harmonia Mundi, Naxos, Musica Omnia, Analekta and Atma. 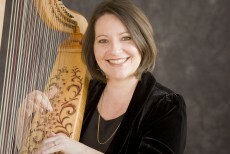 Catherine holds a Master’s in Music from the Early Music Institute at Indiana University and has been a guest faculty member and artist for The San Francisco Early Music Society’s summer workshops and the Madison Early Music Festival. A first rate interpreter of the works of Bach, Handel and Mozart, Aaron Sheehan sang the title role in Boston Early Music Festival’s (BEMF’s) Grammy Award-winning recording of Charpentier’s La déscente d’Orphée aux enfers. He made his professional operatic début with BEMF where his roles have included L’Amour and Apollon Psyché, Actéon Actéon, Orfeo Orfeo, Eurimaco Il ritorno d’Ulisse in patria, Acis Acis and Galatea and Liberto/Soldato L’incoronazione di Poppea. With Boston Baroque he sang Telemaco Il ritorno d’Ulisse in patria. He has performed in concert at Tanglewood, the Lincoln Center, the Metropolitan Museum of Art, Washington National Cathedral, the Early Music Festivals of San Francisco, Vancouver, Washington DC, Carmel and Regensburg, and with Orpheus Chamber Orchestra, Handel and Haydn Society, Tafelmusik, North Carolina Symphony, New York Collegium, Charlotte Symphony, and Pacific Music Works. Recent engagements include Orfeo Le Carnaval de Venise (BEMF), Messiah with Portland Baroque Orchestra, Bach Mass in B minor (Calgary Philharmonic and Boston Baroque), Alexander’s Feast (American Bach Soloists), Gluck’s Orphée (title role – Pacific Music Works), and performances of Handel Messiah, Bach Easter Oratorio, Monteverdi Vespers, Rameau Cantatas and Charpentier’s La Fête de Ruel. Forthcoming performances include Apollon and Trajan Le Temple de la Gloire (Rameau – Philharmonia Baroque), Orfeo Le Carnaval de Venise (Campra – BEMF), Eumete Il ritorno d’Ulisse in patria (Opera Atelier), Mozart Requiem (Mercury Houston), and further performances of Messiah, St John Passion and Mass in B Minor. His many recordings for BEMF include the Grammy nominated operas Thésée and Psyché, Agostino in Steffani’s Niobe, and also Acis Acis and Galatea. Baden-Baden Festspiehaus, and Berlin Staatsoper. Other highlights of the season include Handel’s Agrippina with Boston Baroque, Pergolesi’s La Serva Padrona with the Boston Early Music Festival, and an appearance with James Levine and the Metropolitan Opera Chamber Ensemble at Carnegie Hall in Charles Wuorinen’s It Happens Like This, a piece that Mr. Williams premiered in 2011. 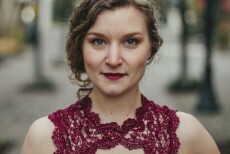 A member of the American Bach Soloists, Voices of Music, and Wildcat Viols, she has also appeared with the Seattle, Portland, and Philharmonia Baroque Orchestras, and at the Boston Early Music Festival, the Berkeley Early Music Festival, the Ohai Festival, the Whidbey Island Music Festival, and the San Luis Obispo Mozart Festival. A graduate of the North Carolina School of the Arts, the Oberlin Conservatory, the Eastman School of Music, and Indiana University’s Early Music Institute, she can be heard on the Virgin Classics, Focus, and Magnatune recording labels. She also teaches baroque cello and viola da gamba at the University of California at Berkeley. Highlights of this current season include performances of Haydn trios with Ian Swensen and Ken Slowik at the Smithsonian Institution in Washington D.C.; 17th century German chamber music with Monica Huggett in Portland, OR; French Baroque chamber with Byron Schenkman and Ingrid Matthews and the St. John Passion with Steven Stubbs and Pacific Musicworks in Seattle, WA. She is a Guild-certified practitioner of the Feldenkrais Method of Awareness Through Movement, with a focus on working with musicians and performers.